A felinophile and allergic to cats! Nothing could be more disheartening than this, as your desire of welcoming a cuddly four-legged friend to your family would have to be on hold. 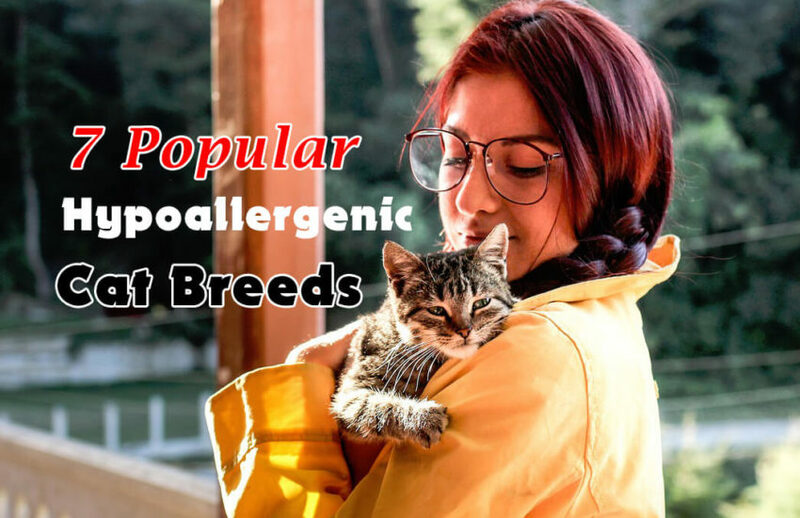 Well, a cat with no allergies is hard to find, but here we are with a list of felines producing lesser allergens than their fellow mates, giving the cat fanatics an opportunity of fulfilling their urge of petting these cuties. Named after the Balinese dancers because of their elegant appeal and graceful movements, they are sure to leave you enamored with their striking appearance, gregarious nature, and amusing antics. The long-haired Siamese, as it is also called, excels as a hypoallergenic cat since it produces a lesser amount of the Fel D1 protein, the main culprit behind all those allergies that bother you to the core. So get set to burst into peals of laughter all day with the clownish antics of this fascinating breed. If the adorable Siberian cat, Mr. Fuzzypants from the movie Nine Lives charms you to the fullest, then don’t think twice before keeping this long-haired breed as your pet. Allergy sufferers may put their worries aside as despite its long coat it produces a negligible amount of allergens. Have a whale of a time with these loyal cats that would trail along everywhere you go as well as entertain you with its melodious mews and purrs. These water lovers would be genuinely delighted when placed in a bathtub. Blessed with a perfect acrobatic skill, they would startle you with their flexible somersaults while pursuing a toy. Its light brown body with spotted markings gives a unique appearance. The wild look of these otherwise amicable cats because of their oval, expressive eyes are sure to catch the attention of cat enthusiasts. You would find it a pleasure to run your hands through its soft, silky coat, whose shine and glitter gives the impression of golden dust being sprinkled on it. Enjoy a perfect time with these intelligent, smart, yet affectionate cats that would take up most of your attention by engaging you in their play or amusing tricks. We have also enlisted the Russian Blue’s name as these lovely cats are speculated to produce a less amount of Fel D1 protein. You cannot but go head over heels for these bluish-gray cats that would look at you lovingly with their shining green eyes also stretching out their pinkish paws to exhibit their affection. It would be a perfect pick for those seeking a quiet and reserved cat that would not always disrupt the silence of the house by their continuous mews. An absolute cleanliness freak, consider employing them in catching the annoying rodents that are spoiling the plants of your plush garden. Anyone for this amazingly talented cat with mischievous eyes and oversized ears! Well, it would startle you with its wisdom by responding brilliantly to any trick you teach. Don’t get surprised if they recognize your name at the very instant alongside theirs. The brainchild of Beryl Cox, this breed fits the bill of hypoallergenic cats possibly because of its soft, short coat with minimum guard hair. If you have a Devon in the house, get set to enjoy a close snuggle under your warm blanket at night. Your lap may mostly be reserved by this breed, which would cherish getting onto it and enjoying your love. Do not get annoyed when these marvelous jumpers land up anywhere with ease, be it your cabinet or bookshelf top. A close cousin of the Devon Rex, the Cornish too is another noted hypoallergenic cat with minimum hair. Its curved and arched body alongside an oval head, hollow cheeks, and big, expressive ears makes it appear exceedingly dignified and striking. As friendly as the Devon, they would be ideal for those seeking an active cat to keep them on their toes always. Do not go by its delicate, dainty appearance as the Cornish would stun you by its flexibility with its high jumps and effortless turns. When engaged in a game of fetch or catch, the ease with which they hold small objects is a treat to watch. Standing out from the rest given in the list because of its hairless body, the Sphynx, a product of selective breeding, almost happened by chance in the 1960s. However, it may not be completely bald, with tufts of hair present on its ears, nose, tail and toes. Relax on an idle afternoon caressing its soft skin that mostly has a buttery texture. These attention seekers would love staying glued to you always. Do not associate their hairless body with less grooming as they would need regular cleaning and bathing to lessen the absorption of body oils which is high on bare skin. Knit a cute pullover for your Sphynx and snuggle it firmly to shield it from the chilling winters. In case you are not severely allergic to cats, then the breeds mentioned above may be suitable for you to a great extent. However, it would be a safe option to crosscheck with the breeder regarding the cat’s allergen producing intensity.